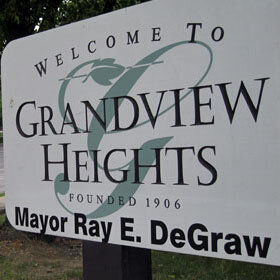 Mayor Ray DeGraw serves as the decision-making authority for the Grandview Heights Mayor’s Court, located at 1016 Grandview Avenue, Grandview Heights, OH 43212. Occasionally, a magistrate will preside over this Court in the Mayor’s place. Typically, the City Prosecutor brings charges on behalf of the City and will begin by making recommendations for fines, penalties or sentencing. If a case is not disposed of during an arraignment, the Prosecutor will proceed by bringing the case to trial on behalf of the City. In the case of an OVI/DUI or other types of misdemeanor offenses the fines, penalties, or sentencing can be of a serious nature. The penalties for an OVI/DUI range from $350 to $10,000, license suspension, increased insurance premiums, vehicle forfeiture and/or jail time, so it is important to have experienced legal representation. Funkhouser Law has a great track record and familiarity with the Grandview Heights Mayor’s Court. The lawyers at Funkhouser Law provide premier legal services and representation to clients. Mr. Funkhouser and his associate personally guide clients through every step of the process—from arraignment to evidence assessment, and ensures that clients receive the most favorable outcome with the least disturbance to their lives by avoiding a conviction entirely and/or obtaining a reduction to a lower offense through plea negotiations. Originally part of one of the first suburbs of Columbus, Grandview Heights was established in 1890. Today, Grandview Heights is a small, isolated community close to downtown Columbus, hosting one of the smallest school districts in the Columbus area. In contrast to similar cities, Grandview Heights maintains its own fire and Police departments. 1. No weapons may be brought into the building. 2. Appropriate clothing and shoes will be worn. 3. The wearing of hats or caps is not allowed for men. 4. Food and drinks are not allowed in the Courtroom. 5. While the Court is in session, talking is not allowed, except with authorized Court personnel. 6. Cell phones are to be on silent mode or turned off. Mayor’s Court convenes on the second and fourth Tuesday of the month starting at 1 PM.